Bridal style allows so much flexibility, fluidity and room for glamour! The dress, the shoes, the accessories, the hair and make-up- the list is endless! 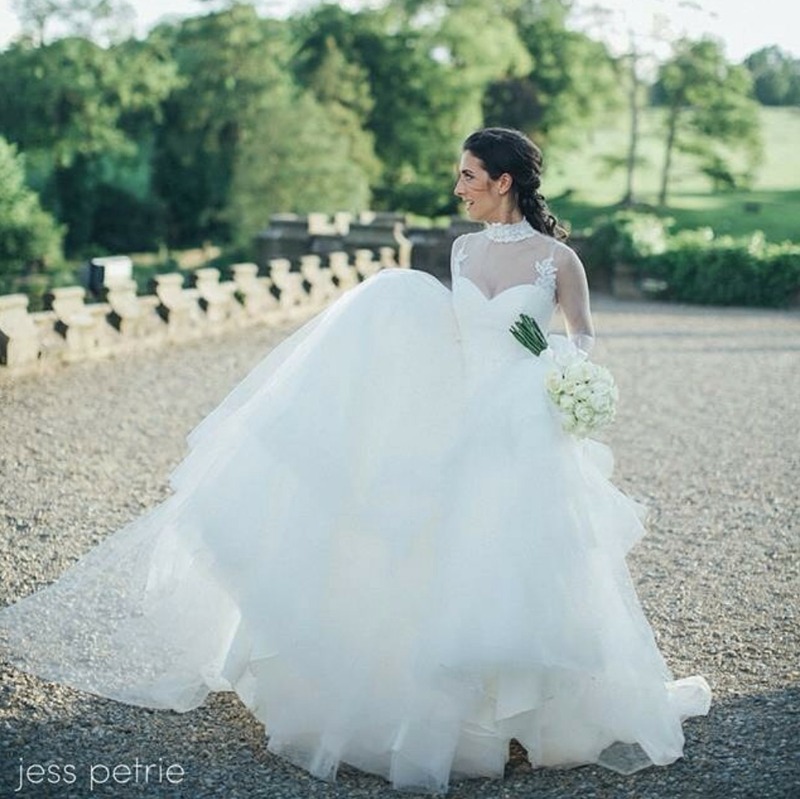 Today’s Photo Of The Day goes to photographer Jess Petrie for capturing this stunning bride in a shot that captures her personal, elegant style yet shows a subtle flirtation with glamour. The dress is full and dramatic and the bouquet compliments without distracting from the princess-style dress. What an entrance she must have made when she walked down the aisle! You can find more of Jess’ work on instagram.